Marketing a multifamily community is no easy task. That’s because the industry is made up of high risk and low-frequency products. Many traditional marketing strategies aren’t churning out the same results they used to, leaving most multifamily marketers to shoot in the dark and cross their fingers for the best. Taken one step at a time, marketing your apartment community doesn’t have to be a daunting task. Here are a few tips that can help you convert those leads into leases. The ultimate goal of every apartment community is to lease all of the vacant units as soon as possible to generate revenue. With over 80% of shopping now done online, the number one way to help you achieve a successful listing is with visual content such as photography and virtual tours. Photo content refers to specific floor plans and community photos. For example, 3D floor plans help prospective buyers visualize the space before they schedule a tour. Photos of amenities such as the fitness center, pool or the clubhouse generate excitement well before a client steps on the property. 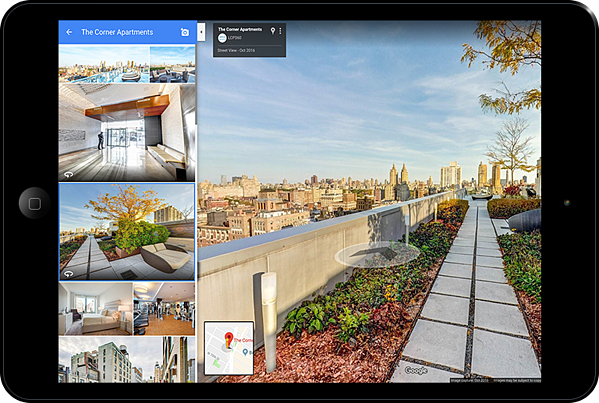 A virtual tour tied to your listing can be an extremely high-value qualifying tool for multifamily communities. It has been proven that when visiting an apartment website, people spend more than two minutes navigating through a virtual tour. They give future residents access to your space 24/7 and the ability to educate themselves prior to visiting in person. This allows a client to visualize your space before they schedule an in-person tour. And as a result, you get more qualified leads. Virtual tours can also be integrated with virtual reality headsets. The benefits are endless with VR. Not many communities have this technology which gives you an instant advantage over competition. Overall, interactive content like virtual tours help speed up the process of a leasing cycle and filter out people who are not interested and would most likely not lease your space. In addition to VR or virtual tours, 3D renderings provide the option to tour a unit before its completion or remodel. 3D renderings are a great marketing tool if you would like to lease out your community before its official completion. Whenever a lead comes in through the phone or the website, it is critical to respond in a timely manner while it is still warm. Statistically 30-50% of sales go to the vendor that responds first. Most likely, that potential client is looking at multiple apartments at once, therefore, every lead should be called back within 24 hours. If there is no response, consider following up via email if possible. If a potential renter reaches out to you, that means there is interest and a big potential to close a lease. In order to get to that point you must follow up, and it is optimal to follow up five times after the initial contact. Since the phone is such a strong marketing tool that consists of 92% of all customer interaction, and has a minimal cost, consider adding a call center to follow up on potential leads. A study by Multifamily Executive found that a community with a call center compared to one without saw a 32% increase in client information collected. While call centers can be extremely lucrative, consider adding a live chat on your website or Facebook Messenger that you leasing agents can manage. When someone goes on your website, it’s very likely they could become a lead. Anticipate their questions and make them feel special. Every location has a different amenity that people are looking for such as air conditioning in Dallas or parking in Chicago. Have your leasing agents find the top three items that your clients search for on your website, virtual tour or Google and highlight them on your listings. Tracking where leads come from will help you figure out what is and isn’t working in the long run. Whenever you have a good interaction with a potential client or a current tenant, don’t be shy and ask for a referral. Many young college students and young professionals know people who are also in need of an apartment. Utilize their networking skills and don’t be afraid to leverage word of mouth marketing. Word of mouth is a timeless marketing tool that will never go bad. One lead can turn into two or three leases. Have a new apartment community that needs a visual marketing upgrade? Contact us today!